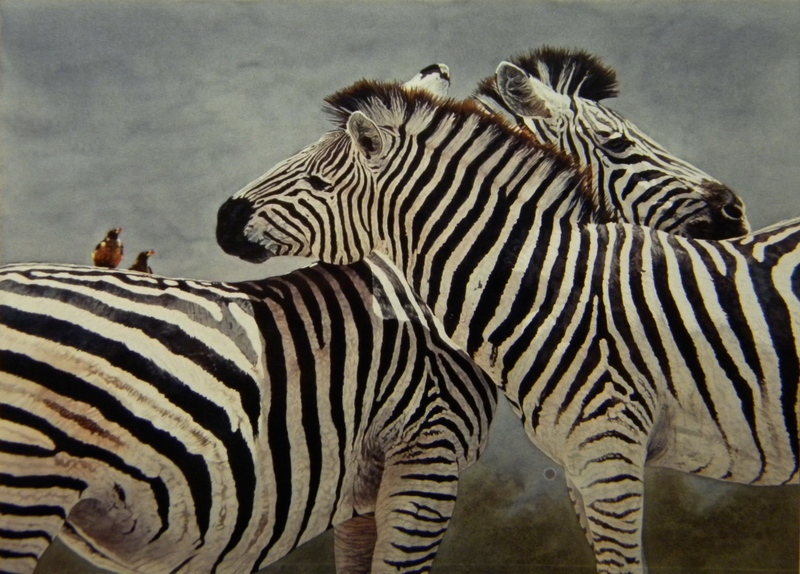 Zebras often pair up and rest their heads on eachothers shoulders while standing stationary. In this fashion they can keep a lookout for predators lurking nearby. The zebra tolerate the oxpeckers as they dig for ticks and biting insects and other pests which inhabit the zebra's hide.